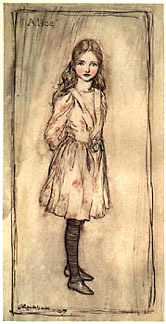 (1867-1939) Born into Victorian London, Arthur Rackham is most recognized for the ethereal fantasy illustrations he did for both children’s and adult classics of literature and folklore. He worked his way to success, first supporting himself as a clerk while attending the Lambeth School of Art, then finding his way into advertising until he was able to devote all his time to book illustration. 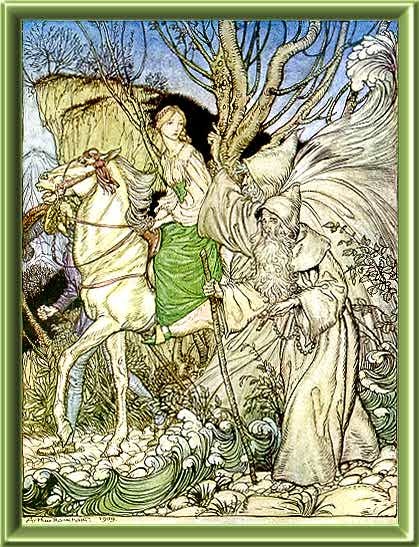 The works for which he is most known, such as RIP VAN WINKLE and PETER PAN, were executed around the turn of the century and are thoroughly Edwardian. 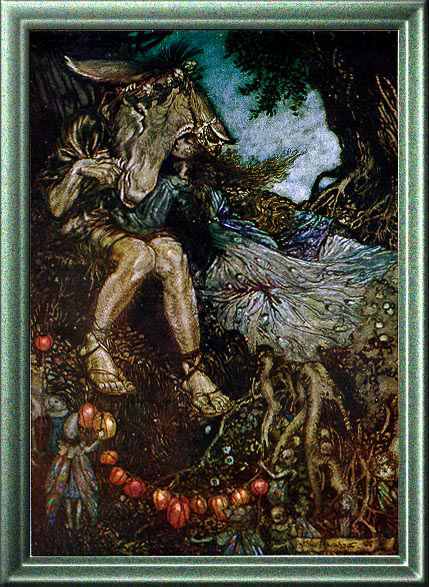 It is often noted that Rackham continued solidly in the Edwardian vein—more relaxed than Victorian and more lavishly romantic—long after World War I had thoroughly shattered English idealism. The Zankiwank and the Bletherwitch. J.M. Dent, 1896. The Little White Bird, 1902. Peter Pan in Kensington Gardens, 1906. The Land of Enchantment, 1907. Two Old Ladies, Two Foolish Fairies and a Cat: The Surprising Adventures of Tuppy and Tue, 1897. Alice's Adventures in Wonderland, 1907. The Vicar of Wakefield, 1929. The Wind in the Willows, 1940. Stories of King Arthur, 1905. Peer Gynt: A Dramatic Poem.1936. The Legend of Sleepy Hollow, 1928. The Argonauts of the Amazon, 1901. Puck of Pook's Hill, 1906. Feats on the Fjord. London, 1914. The Night Before Christmas, 1900. Mother Goose. The Old Nursery Rhymes, 1913. The King of the Golden River, 1932. The Rhinegold and the Valkyrie, 1910. Siegfried and the Twilight of the Gods, 1911. The Ring of the Niblung, 1923.